Draft: 2009, Seattle Mariners, 1st rd. Nicholas Edward Franklin...His maternal grandfather, Ed Clifton, played one season as a middle infielder in the Appalachian League for the Salem Rebels, a Pirates affiliate...Is a 2009 graduate of Lake Brantley (FL) High School, located just north of Orlando...Was selected as the Orlando Sentinel Baseball Player-of-the-Year as a senior...Was a member of the 2007 and 2008 USA Baseball Youth National team. Attended spring training as a non-roster invitee with Milwaukee...Began season with Double-A Biloxi...Appeared in 20 games for the Shuckers before having his contract selected by the Brewers on 5/8... Appeared in his only game with Milwaukee on 5/8 vs. Cleveland; was the starter at second base...Was placed on the 10-day disabled list the next day with a right quad strain...Was transferred to the 60-day disabled list on 7/2...Began a rehab assignment with the Arizona League Brewers on 8/23...Appeared in three games there before having rehab assignment transferred to Single-A Carolina on 8/29...Made three appearances with Carolina before being outrighted to Triple-A Colorado Springs on 9/1. Spent time at five different defensive positions over three stints with the Rays…played in 60 games-his most since 2013 (102)-with 45 starts (16-LF, 7-2B, 6-1B, 6-DH, 5-SS, 5-RF)… missed time down the stretch due to two minor injuries...Began the season with Triple-A Durham…was recalled on June 5 and optioned on June 10 after appearing in 3 games…recalled again on June 21 and optioned on July 19, despite hitting .319 (15-for-47) with 13 RBI in 16 games during that stint…recalled a final time on July 29...Established career highs with a .270 avg., .328 OBP and .443 SLG…in comparison, had a .170 avg., .226 OBP and .319 SLG in 55 games with the Rays over the previous two seasons...Switch-hitter batted .285/.347/.482 (39- for-137) with all 6 HR vs. RHP…hit just .216/.256/.297 (8-for-37) against lefties...Twenty of his 26 RBI came at Tropicana Field…11 of those RBI came during the June 27- July 7 homestand, most by a Ray during any homestand since Matt Joyce from July 26- Aug 5, 2010 (12), according to the Elias Sports Bureau…his 11 RBI in 9 games that homestand matched his career total for the Rays in 61 games prior to that...On June 27 vs. BOS, went 3-for-5 with a careerhigh 5 RBI…on June 30 vs. DET, delivered 3 RBI off the bench, coming on a pinch-hit, basesclearing double...On Aug 17 vs. SD, was preparing to lead off the game in the 1st inning when he was struck on the helmet by Kevin Kiermaier's bat near the on-deck circle…removed after the inning as a precaution, and appeared in a game two days later vs. TEX as a defensive replacement…on Aug 20, was placed on the 7-day concussion DL…reinstated on Aug 27...On Sep 15 at BAL, suffered a left hamstring strain while stretching to scoop a throw at first base…the injury limited him to starting only 4 of the team's final 16 games. Had two stints with the Rays, appearing in 44 games, 23 starts (12-2B, 5-SS, 5-1B, 1-DH), including his first career apps at first base and pitcher...spent the remainder of the season with Triple-A Durham...his season was delayed by more than a month due to a left oblique strain suffered in spring training…Eight of his 16 hits went for extra bases (4-2B, 1-3B, 3-HR)...hit .083 (2-for-24) with RISP, and went 0-for-8 as a PH… Entered the spring battling Logan Forsythe for playing time at 2B...suffered a left oblique strain during BP on March 23 and began the season on the DL...played 8 games on a rehab assignment with Durham, batting .318/.423/.500 (7-for-22) with 1 HR, 4 RBI and 2 SB…Reinstated from the DL on May 17...hit .139 (10-for-72) in 28 games during his first stint with the Rays and was optioned to Durham on June 25…On June 1 at LAA, snapped an 0-for-25 skid with a homer off Garrett Richards...it was the 2nd-longest hitless streak of his career (0-for-27 with Seattle in 2013)…Saw his first professional action at 1B with a start on June 6 at SEA...on June 9 vs. LAA had the first multi-error game by a Rays 1B since Carlos Peña on May 4, 2009 vs. BAL…Recalled by the Rays at the conclusion of Durham's season (Sep 8)...after that call up, hit .207 (6-for-29) with a pair of go-ahead homers: Sep 15 vs. NYY (Nick Rumbelow) and Sep 30 vs. MIA (Jarred Cosart)…Recorded a .500 SLG for Durham, knocking 22 extra-base hits in 192 AB (10-2B, 1-3B, 11-HR)...batted .287/.382/.586 (25-for-87) with 6 HR in his last 25 games for Durham before the September call up. Assigned to Triple-A Durham after arriving from Seattle in the July 31 trade that sent David Price to Detroit...recalled by the Rays on Sep 15 and appeared in 11 games, 9 starts (6-2B, 3-SS)...Made his Rays debut on Sep 16 vs. NYY, going 2-for-4 with an RBI single...became the first player with a multi-hit game and an RBI in his Rays debut since Drew Sutton in 2012...scored the go-ahead run on a safety squeeze in the 6th...Hit .368 (7-for-19) in his first 7 games with the Rays before an 0-for-15 skid to close out the season...Snapped a streak of 145 consecutive homerless at-bats on Sep 20 vs. CWS with a HR off the C-ring catwalk, his first as a Ray and first of 2014 (last Aug 29, 2013 at HOU)...Spent most of the season in Triple-A, playing 75 games with Tacoma (Seattle) and 27 games with Durham...hit a combined .272/.366/.412 (103-for-379) with 11 HR, 56 RBI, 18 2B and 11 SB, while splitting most of his time between 2B (51 games) and SS (41 games)...was Durham's best hitter in the postseason, batting .424/.486/.967 (14-for-33) with 3 2B, 2 HR and 3 RBI in 9 games...Opened the season with Tacoma and served two stints in the majors with the Mariners (April 16-23 and May 20-31)...appeared in 17 games (13 starts) for Seattle, where he hit .128 (6-for-47). Appeared in 102 games, making 92 starts (2B-96 G/90 GS, SS-3 G/2 GS). Among AL rookies ranked 2nd in RBI (45), T2nd in doubles (20), T2nd in extra-base hits (33), 4th in home runs (12), 5th in games played (102), 7th in runs (38) and 8th in hits (83). Became the 9th rookie in club history to hit 10 home runs and 20 doubles in a season…joined Wil Myers (TB) as only other AL rookie to hit at least 10 HR, 20 doubles in 2013. 12 home runs tied Bret Boone (1993) for the most by a Mariner rookie middle infielder. Hit first career grand slam July 21 at Houston as part of 7-run 2nd inning. Hit first two home runs of his career May 30 at San Diego (2x4, 2 R, 2 HR, 2 RBI)…3rd youngest Seattle player to record multi-HR game (22 years, 89 days). Made MLB debut as DR at 2B May 27 vs. San Diego; walked in only PA. Recorded first MLB hit (1B) May 29 at San Diego (off Eric Stults)…made first MLB start May 28 vs. San Diego (0x4). Named to Baseball America Midseason All-Rookie Team. Split the season between AA Jackson and AAA Tacoma...combined to bat .278(131x472) with 64 runs scored, 32 doubles, 9 triples, 11 home runs and 55 RBI in 121games...promoted to Tacoma on June 20...was one of the youngest players in Triple-Aas a 21-year-old...hit .243 (65x267) with 7 home runs and 29 RBI in 64 games with theRainiers...named a Southern League Mid-Season All-Star after batting .322 (66x205) in57 games with Jackson...named the Topps Southern League May Player of the Month(.394/28x71)...named Southern League Player of the Week (May 28-June 3)...hit .338(26x77) in 20 games for the Peoria Javelinas in the Arizona Fall League...selected to playin the AFL Rising Stars Game and named by MLB.com to the AFL Top Prospect Team...listed by Baseball America as the Mariners No. 5 prospect...also the No. 6 shortstopprospect by MLB.com. Began season with A High Desert ... recorded a season-high 5 hits May 25 vs. Modesto (5x6, 2 R,HR, 3 RBI)...hit .318 (34x107) with 20 runs scored, 4 doubles, 1 triple, 3 home runs and 9 RBI in 25 games in May ... promoted to Jackson on June 23...on disabled list with a concussion, June 27-Aug. 18, including a rehab assignment with Peoria, Aug. 14-18 ... played for the Peoria Javelinas in the Arizona Fall League ... went 4-for-5 with 3 runs scored, 2 doubles, 1 home run and 4 RBI to earn MVP honors in the 6th-annual ArizonaFall League Rising Stars...rated by MLB.com as the No. 52 overall prospect and No. 6 shortstop...listed by Baseball America as the Mariners No. 5 prospect. Spent majority of season with Clinton, but also appeared in 1 game with West Tenn ... named Clinton's Offensive Player of the Year by the Mariners ... named to the Midwest League midseason and postseason All-Star Team...also namedthe top MiLB shortstop by Baseball America on their postseason All-Star list...was 1 ofonly 3 players in the minors to record a 20 HR-20 SB season ... led the Midwest Leaguein homers, breaking the 49-year old Clinton franchise record for single-season homers. Began pro career with the Arizona League Mariners, appearing in 10 games ... hit .067 (1x15) in first 4 games, but rebounded to hit .429 over final 6 games (12x28, 4 R, 2 2B, HR, 4 RBI) ... promoted to Everett on Sept. 1...hit safely in 5 of 6 games with an at-bat with3 multi-hit games. April 23, 2019 2B Nick Franklin assigned to Indianapolis Indians from Bradenton Marauders. February 6, 2019 Pittsburgh Pirates signed free agent 2B Nick Franklin to a minor league contract and invited him to spring training. 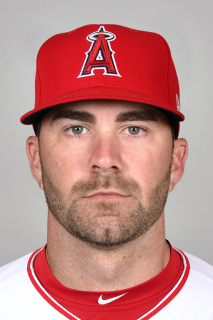 February 6, 2019 2B Nick Franklin assigned to Indianapolis Indians. October 15, 2018 2B Nick Franklin elected free agency. September 1, 2018 Milwaukee Brewers sent Nick Franklin outright to Colorado Springs Sky Sox. August 29, 2018 Milwaukee Brewers sent 2B Nick Franklin on a rehab assignment to Carolina Mudcats. August 23, 2018 Milwaukee Brewers sent 2B Nick Franklin on a rehab assignment to AZL Brewers. July 2, 2018 Milwaukee Brewers transferred 2B Nick Franklin from the 10-day disabled list to the 60-day disabled list. Right quad strain. May 9, 2018 Milwaukee Brewers placed 2B Nick Franklin on the 10-day disabled list. Right quad strain. May 8, 2018 Milwaukee Brewers selected the contract of 2B Nick Franklin from Biloxi Shuckers. April 3, 2018 RF Nick Franklin assigned to Biloxi Shuckers from Colorado Springs Sky Sox. February 15, 2018 Milwaukee Brewers signed free agent SS Nick Franklin to a minor league contract and invited him to spring training. February 15, 2018 SS Nick Franklin assigned to Colorado Springs Sky Sox. November 6, 2017 SS Nick Franklin elected free agency. September 26, 2017 Salt Lake Bees activated SS Nick Franklin from the 7-day disabled list. August 8, 2017 Salt Lake Bees placed SS Nick Franklin on the 7-day disabled list. Left UCL sprain. July 31, 2017 Los Angeles Angels sent LF Nick Franklin outright to Salt Lake Bees. July 29, 2017 Los Angeles Angels designated LF Nick Franklin for assignment. July 1, 2017 Los Angeles Angels activated LF Nick Franklin. June 30, 2017 Milwaukee Brewers traded LF Nick Franklin to Los Angeles Angels for Player To Be Named Later. June 27, 2017 Milwaukee Brewers designated LF Nick Franklin for assignment. April 5, 2017 Milwaukee Brewers claimed LF Nick Franklin off waivers from Tampa Bay Rays. April 1, 2017 Tampa Bay Rays designated LF Nick Franklin for assignment. August 27, 2016 Tampa Bay Rays activated LF Nick Franklin from the 7-day disabled list. August 26, 2016 Tampa Bay Rays sent LF Nick Franklin on a rehab assignment to Charlotte Stone Crabs. August 20, 2016 Tampa Bay Rays placed LF Nick Franklin on the 7-day disabled list. Concussion. July 29, 2016 Tampa Bay Rays recalled LF Nick Franklin from Durham Bulls. July 19, 2016 Tampa Bay Rays optioned 2B Nick Franklin to Durham Bulls. June 21, 2016 Tampa Bay Rays recalled Nick Franklin from Durham Bulls. June 10, 2016 Tampa Bay Rays optioned SS Nick Franklin to Durham Bulls. June 5, 2016 Tampa Bay Rays recalled Nick Franklin from Durham Bulls. March 19, 2016 Tampa Bay Rays optioned SS Nick Franklin to Durham Bulls. September 8, 2015 Tampa Bay Rays recalled Nick Franklin from Durham Bulls. June 25, 2015 Tampa Bay Rays optioned SS Nick Franklin to Durham Bulls. May 17, 2015 Nick Franklin roster status changed by Tampa Bay Rays. May 5, 2015 Tampa Bay Rays sent SS Nick Franklin on a rehab assignment to Durham Bulls. September 15, 2014 Tampa Bay Rays recalled SS Nick Franklin from Durham Bulls. July 31, 2014 Detroit Tigers Traded LHP Drew Smyly and SS Willy Adames to Tampa Bay Rays; Tampa Bay Rays Traded LHP David Price to Detroit Tigers; Seattle Mariners Traded SS Nick Franklin to Tampa Bay Rays and Detroit Tigers Traded Austin Jackson to Seattle Mariners. July 31, 2014 Tampa Bay Rays optioned SS Nick Franklin to Durham Bulls. July 24, 2014 SS Nick Franklin assigned to Durham Bulls. June 3, 2014 Seattle Mariners optioned Nick Franklin to Tacoma Rainiers. May 20, 2014 Seattle Mariners recalled Nick Franklin from Tacoma Rainiers. April 24, 2014 Seattle Mariners optioned 2B Nick Franklin to Tacoma Rainiers. April 16, 2014 Seattle Mariners recalled Nick Franklin from Tacoma Rainiers. March 28, 2014 Seattle Mariners optioned 2B Nick Franklin to Tacoma Rainiers. May 27, 2013 Seattle Mariners selected the contract of Nick Franklin from Tacoma Rainiers. January 11, 2013 Seattle Mariners invited non-roster 2B Nick Franklin to spring training. June 20, 2012 Nick Franklin assigned to Tacoma Rainiers from Jackson Generals. January 26, 2012 Seattle Mariners invited non-roster SS Nick Franklin to spring training. August 18, 2011 Nick Franklin roster status changed by Jackson Generals. August 14, 2011 sent SS Nick Franklin on a rehab assignment to AZL Mariners. June 29, 2011 Jackson Generals placed SS Nick Franklin on the 7-day disabled list. June 23, 2011 SS Nick Franklin assigned to Jackson Generals from High Desert Mavericks. April 7, 2011 Nick Franklin assigned to High Desert Mavericks from Clinton LumberKings. March 23, 2011 SS Nick Franklin assigned to Seattle Mariners. September 17, 2010 Nick Franklin assigned to Clinton LumberKings from West Tenn Diamond Jaxx. September 6, 2010 Nick Franklin assigned to West Tenn Diamond Jaxx from Clinton LumberKings. April 5, 2010 Nick Franklin assigned to Clinton LumberKings from Everett AquaSox. March 6, 2010 SS Nick Franklin assigned to Seattle Mariners. September 1, 2009 Nick Franklin assigned to Everett AquaSox from AZL Mariners. August 18, 2009 Nick Franklin assigned to AZL Mariners from Seattle Mariners. August 15, 2009 Seattle Mariners signed IF Nick Franklin.